Peacock is a magnificent bird and it is considered the most purest symbol of romance ever known to man. Do you wish to employ a peacock for expressing your romantic get together? 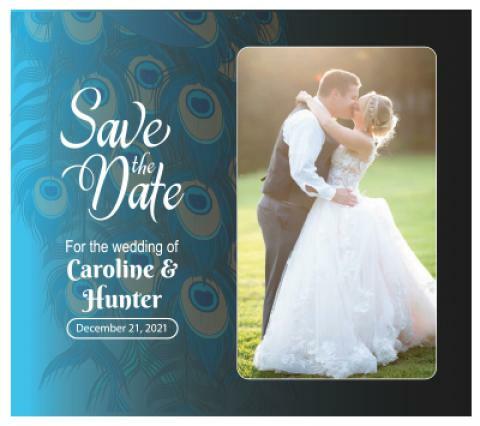 Then why don’t you try out a personalized 3.5 x 4 iridescent peacock save the date round corner magnets! Many couples feel that this pre-invitation possess high attraction power and it can deeply percolate into consciousness of a viewer. Anyone who sees an appealing custom 3.5x 4 iridescent peacock save the date round corner magnets are gonna be spellbound and they will always treasure it with love.